The in motion global c24 7 is an anti-ageing - anti cancer - detoxification vitality Skincare is manufactured by Alliance and was added around January 2018. The best price for the Alliance In Motion Global C24 in Nigeria is ₦ 7090 sold at Jumia and available with free shipping and delivery within 1-6 Days (Fashion Items) 3-8 Days for other products. 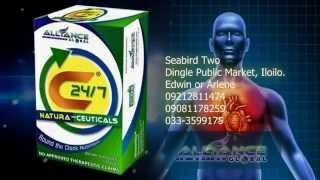 C24/7- THE AMAZING AND THE MOST EFFECTIVE FOOD SUPPLEMENT IN THE MARKET TODAY!